Friends sponsors the seasonal floral displays in Balboa Park’s iconic Botanical Building, made possible by donor dedications. We hope you consider a lily dedication during this special time of springtime renewal. The Easter lilies will be on display from early April to mid-May, so be sure to stop by and celebrate one of the region’s most festive seasonal displays! Friends of Balboa Park has undertaken numerous projects around Balboa Park, but our acquisition of the Balboa Park Carousel has been by far the organization’s most significant. We are in the home stretch of the Phase I fundraising milestone to complete the purchase of the carousel, and every dollar will help towards our goal. Please consider a contribution of any size as we steer toward the home stretch! Friends is celebrating our 20th anniversary this year and is commemorating this milestone by launching a formal membership program that rewards supporters and encourages even more people to join our park improvement projects and youth and education programs throughout Balboa Park. Join online at friendsofbalboapark.org/membership. 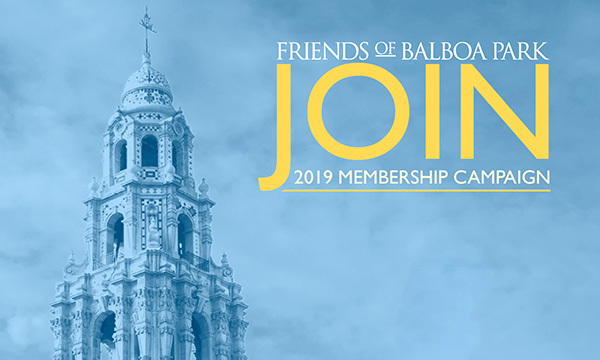 Friends of Balboa Park is a nonprofit affinity organization that champions and enhances the park by connecting the philanthropic community to Balboa Park. The group has spearheaded major capital improvement initiatives throughout Balboa Park, including upgraded carillon speakers in the California Tower, restoration of the historic gate houses and lily pond, information kiosks, Adopt-A-Plot program, dedicated benches and trees, operation of the historic Balboa Park Carousel, and other programs that facilitate the community’s direct involvement in the enhancement of Balboa Park. —John Bolthouse is the executive director of Friends of Balboa Park. For more information, visit www.FriendsOfBalboaPark.org.